It’s cold here. really cold. really really cold. I was raised in San Diego and am currently based out of Santa Barbara. 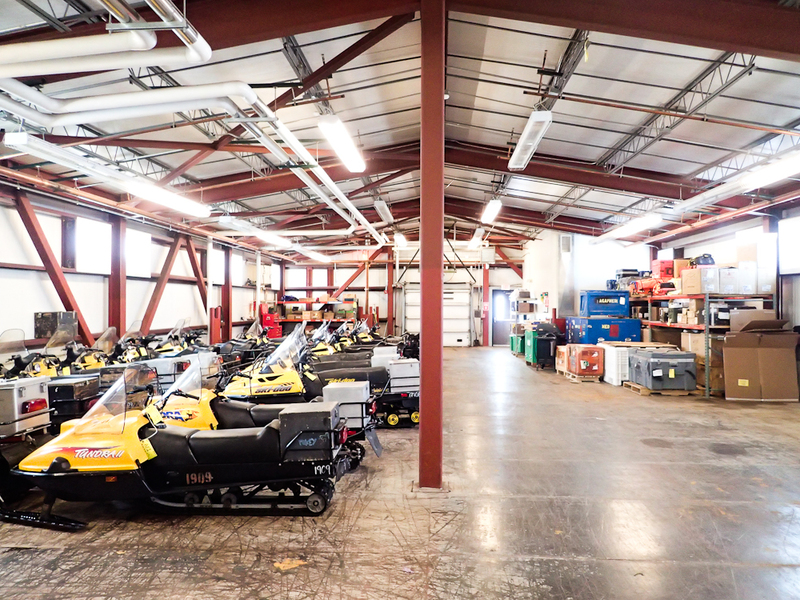 “Cold” means 50˚F. For the first two days here, walking outside without a beanie gave me a slight brain freeze. Spending 30 seconds outside without gloves was a bad mistake. I’ve never been anywhere this cold for any amount of time. 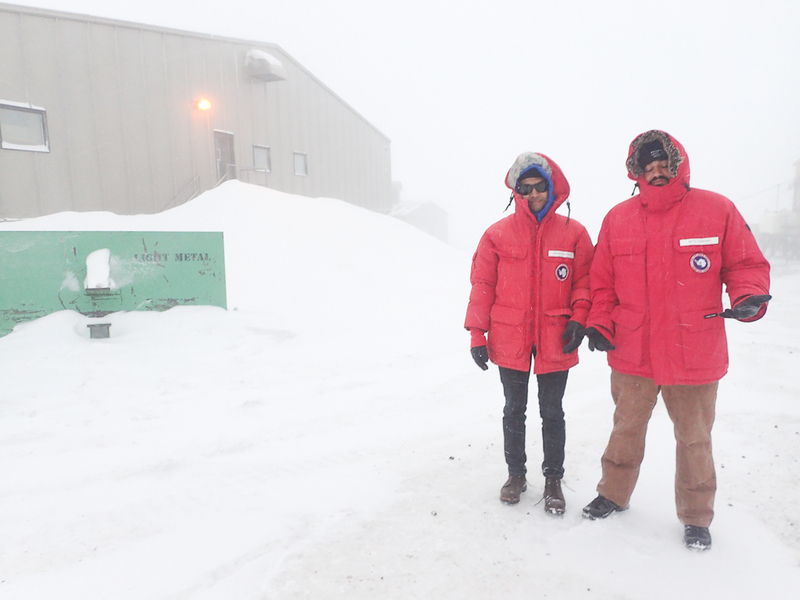 The temperature since I’ve gotten here has hovered around -20˚C ~ -30˚C with wind chill. The wind here changes temperatures significantly. 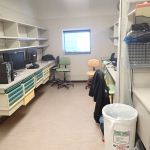 This is our lab space here in the Cracy Science Labs. Small compared to what we have at home, but still very usable. 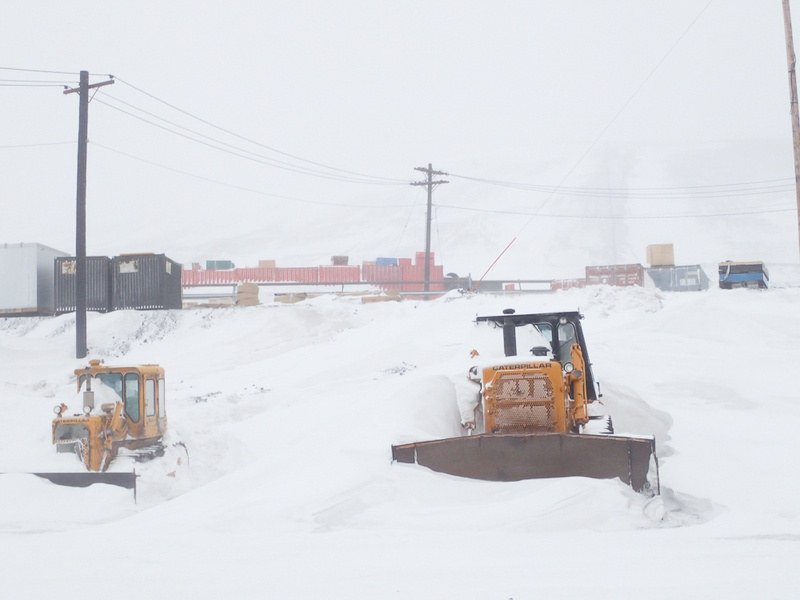 But onto the bad weather… This is what a typical overcast day here looks like. 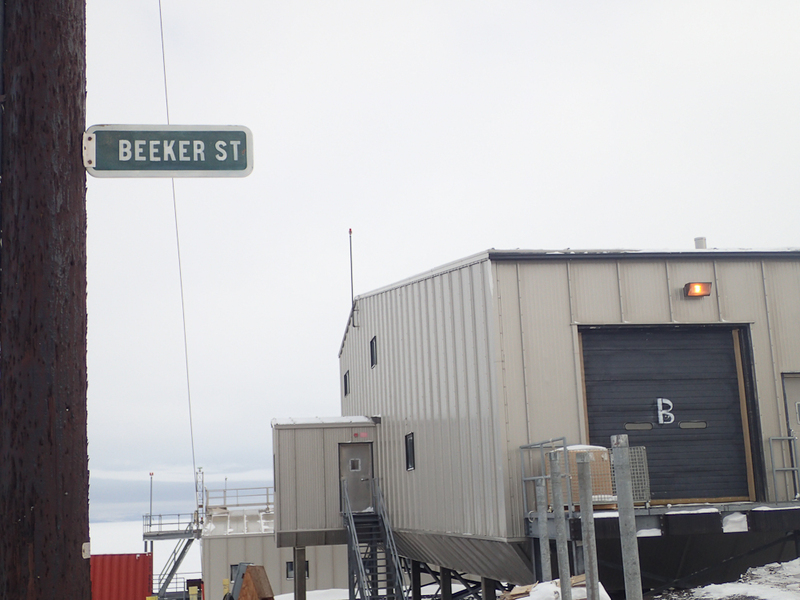 Here is an image of Crary Lab from the outside, with the street name “Beeker Street”. 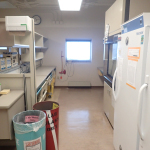 Scientists here are called “Beakers”, a somewhat derogatory term stemming from the days of high military presence on the base. And here’s what it looks like when the wind really picks up. 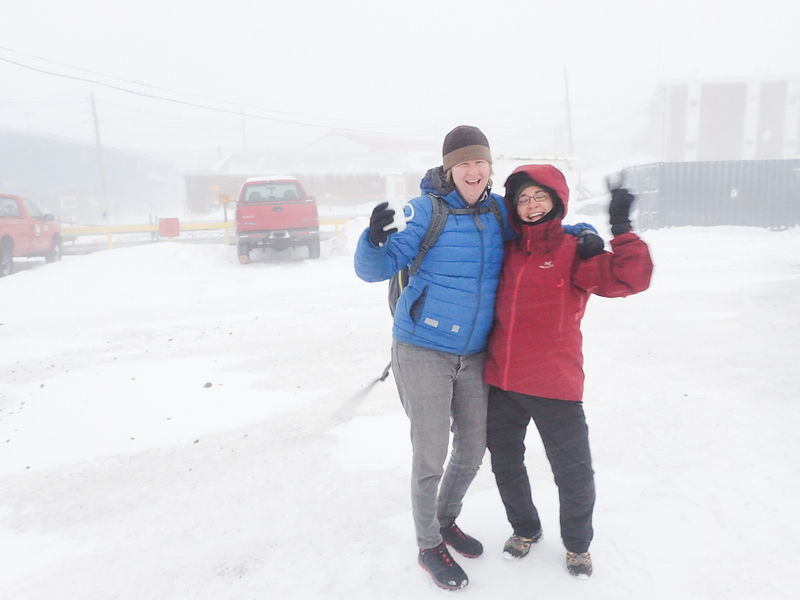 Those trucks are probably 30 feet behind Gretchen and AK, and are starting to become obscured by flurries. And finally, a photo of our dorm! That’s Kevin, a stone’s throw from our barely-visible dorm building. 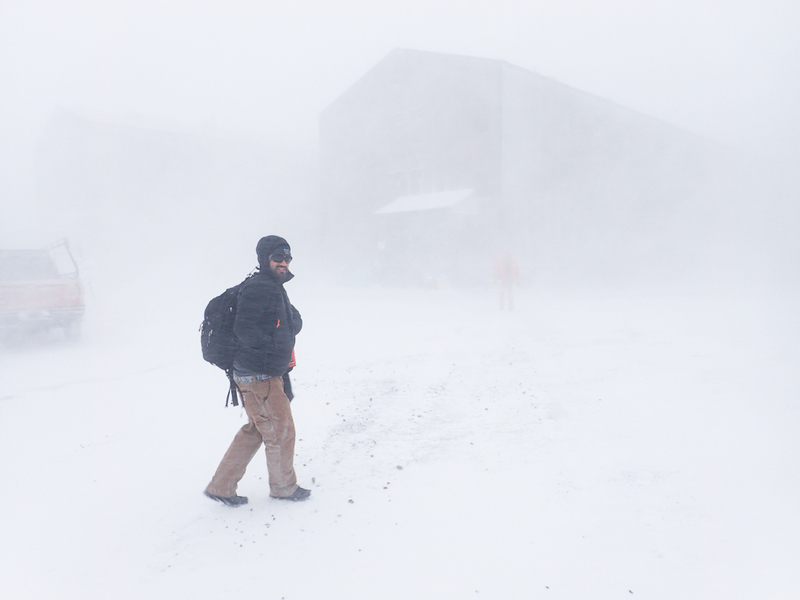 The white-out conditions make it so that you can’t see the next building over. The whole base was declared “Condition 2”, which is a warning condition that restricts travel outside of the base to certain locations. October 10: Sea Ice Training. This is the part with the great photos! So the weather cleared up the next day. 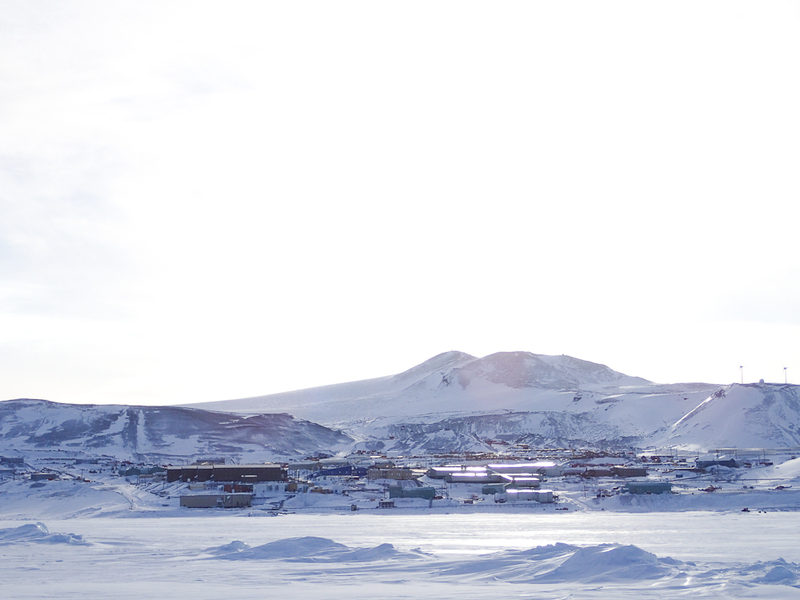 As I stated previously, the ocean in front of McMurdo Station is annually covered in a 6 foot thick sheet of ice. It’s currently Spring in the Southern Hemisphere, so the extent of this annual ice is as its thickest and furthest. For our research, we travel on this ice over the ocean to collect organisms and ocean chemistry data at different sites. 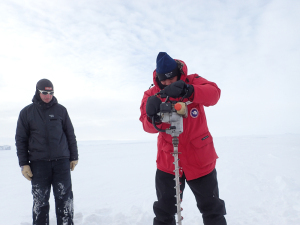 Working on the sea ice can have its hazards, but they can be avoided with good preparation and diligence. Different parts of the ice contract and expand, forming and sealing cracks that can be obscured by snow – just like plate tectonics! Ridges and rifts form and reform, and must be measured each time to ensure that your vehicle can travel across them safely. Our sea ice class is designed to teach us just that! 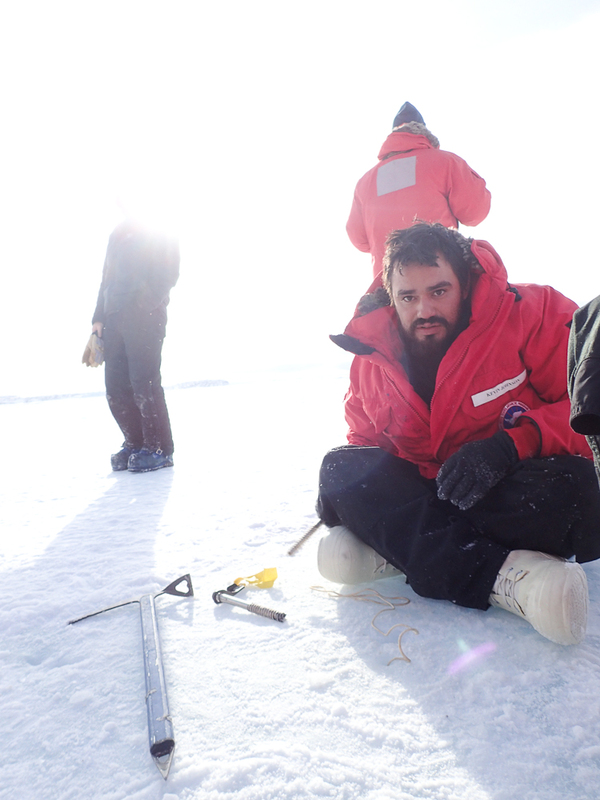 We travel over the ice on marked paths, inspecting cracks in the ice by measuring the width and ice thickness. 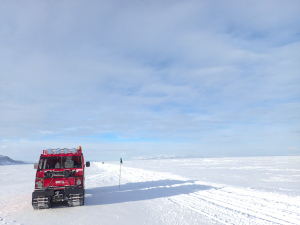 We all pile into the Hägglund (Swedish military transport vehicle, top speed 15mph), and take off on the hour ride to our sea ice cracks. We get to a crack that needs to be assessed for safety. 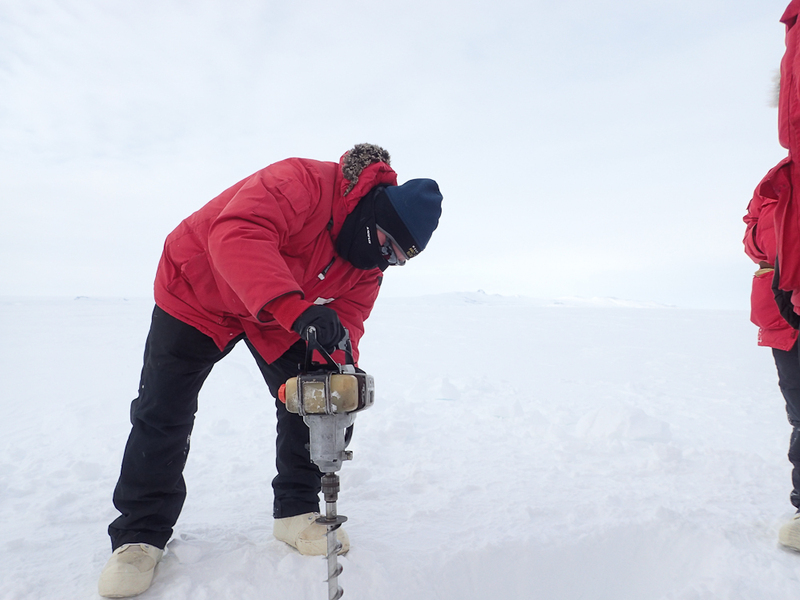 The first step is to shovel away the 3 foot deep snow to expose the sea ice. 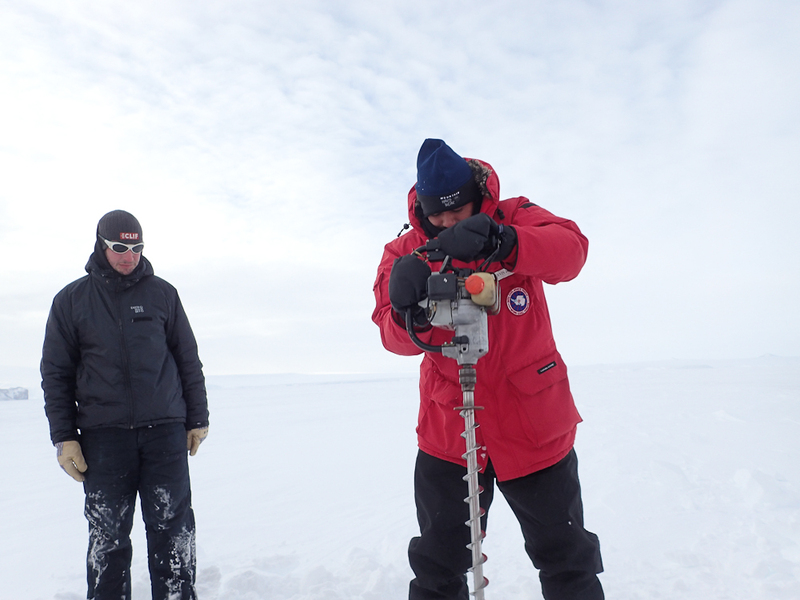 Then we pull out an engine-powered echo drill with a 6-foot drill bit to punch holes in the sea ice. 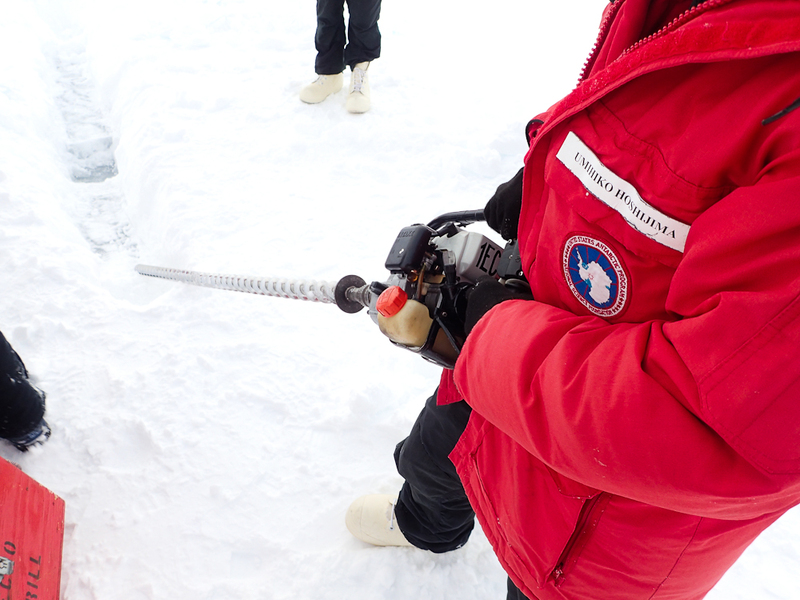 Yes, it’s a 6-foot drill bit. 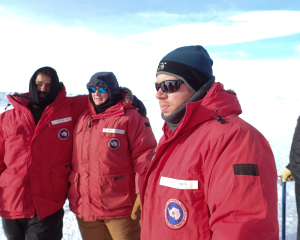 After learning how to analyze sea ice cracks, we extend our survival knowledge by learning how to pitch a tent on the sea ice. 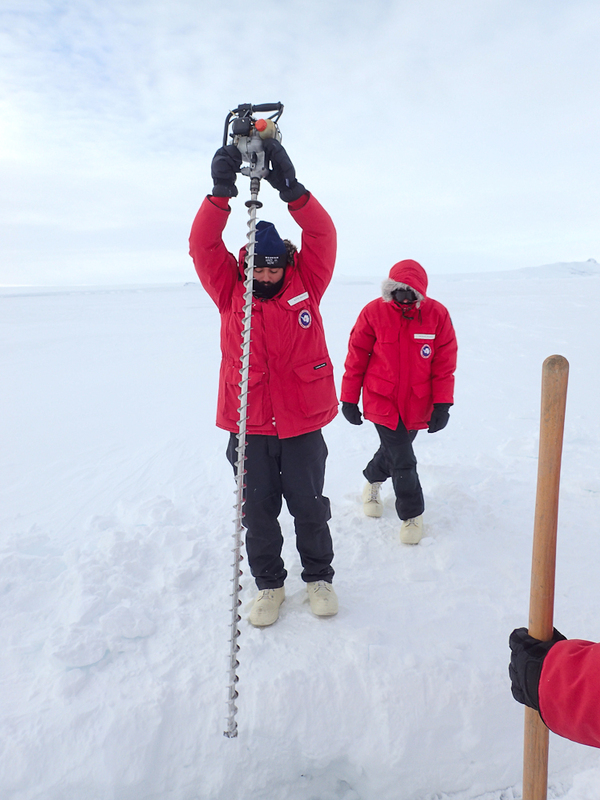 You can’t hammer tent stakes into solid ice, so you drill angled holes in a V shape to thread the rope through. It creates a surprisingly strong hold! 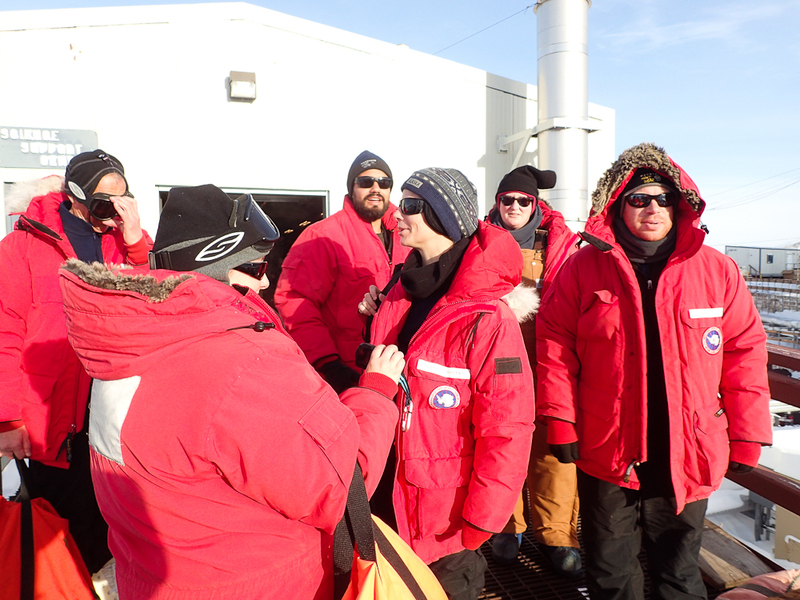 We are now certified to travel out onto the sea ice! Tomorrow we ride! Previous post: Part 5: To Antarctica: We made it! Hey, it will get warmer … it could be a balmy 20 degrees at Christmas. What a great experience!! 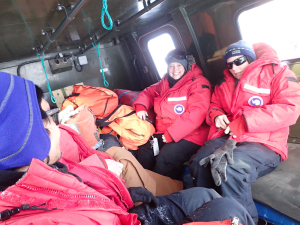 You may not get the opportunity that I did … I was able to go out on the Antarctic Continent several times to help in the planning process related to my job. 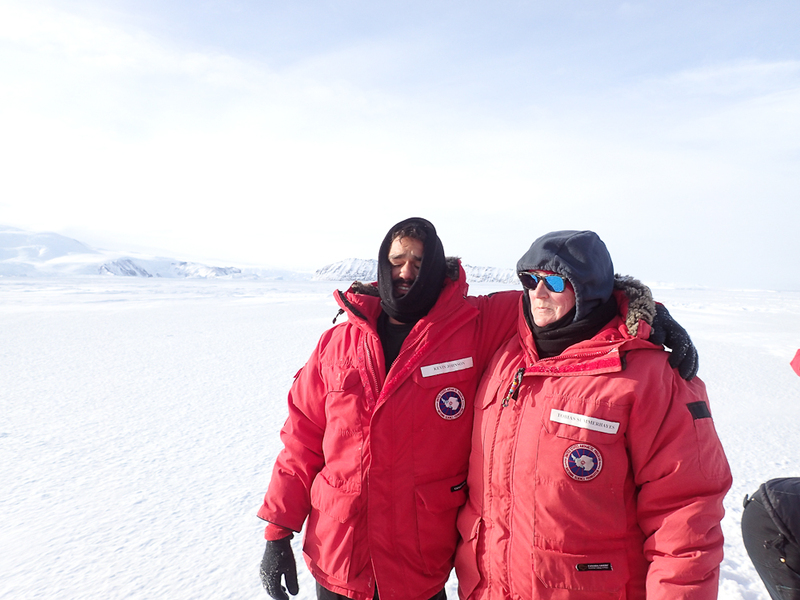 One of those trips was to the South Pole. It was only a stop over, but it was a real eyeopener. Here in VA I can usually say, “I bet I’ve been some place in the world that no one else in the room has been.” So far, so good. Again, enjoy your work on the Ice. 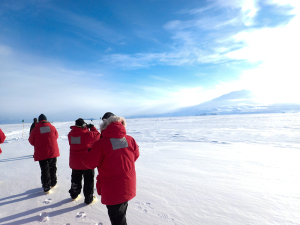 What an opportunity to study and work at one of the most remote places in the world!! Thanks for commenting! 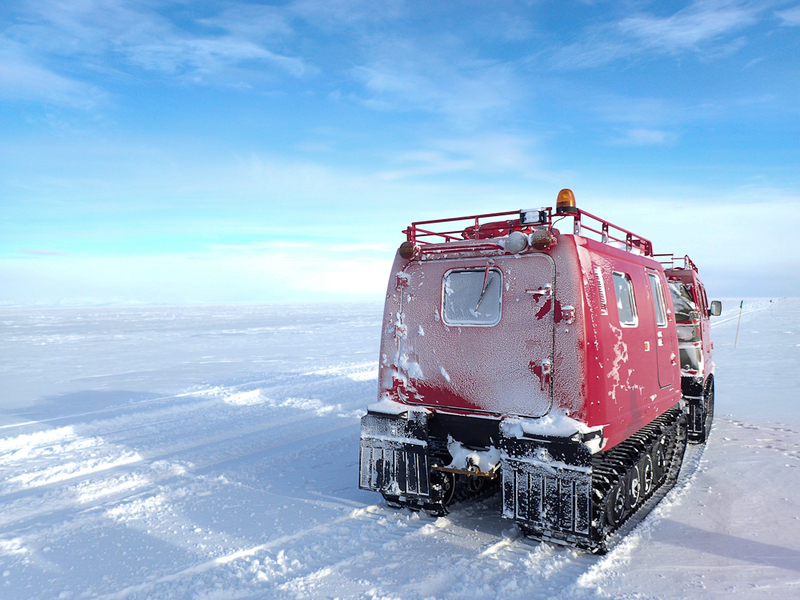 That sounds fantastic – I would love to stop by the South Pole. 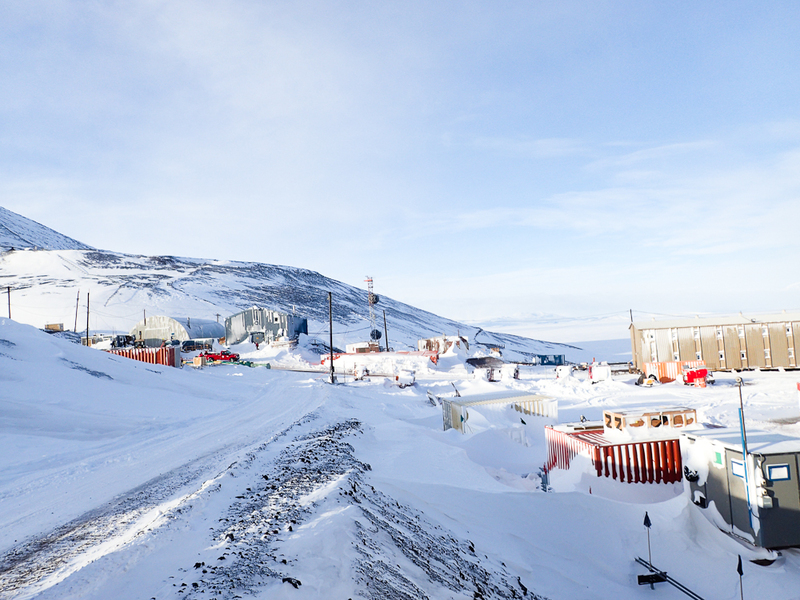 We’re trying to get some science done across the sound at New Harbor this year, but so far the farthest I’ve been from McMurdo is Cape Evans (still on Ross Island, 20 miles away). I feel lucky every day that I get to work in this fantastic place, supported by incredible people that work so hard to make our science happen.